Bending handle is easy to open and close. The bottom is adopted the U-channel steel to strengthen the loading intensity. 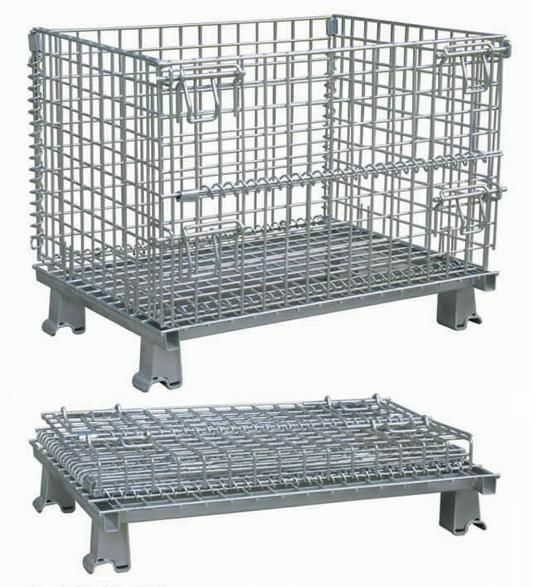 The special foot base structure assures the stability of wire container when loading and heaping. 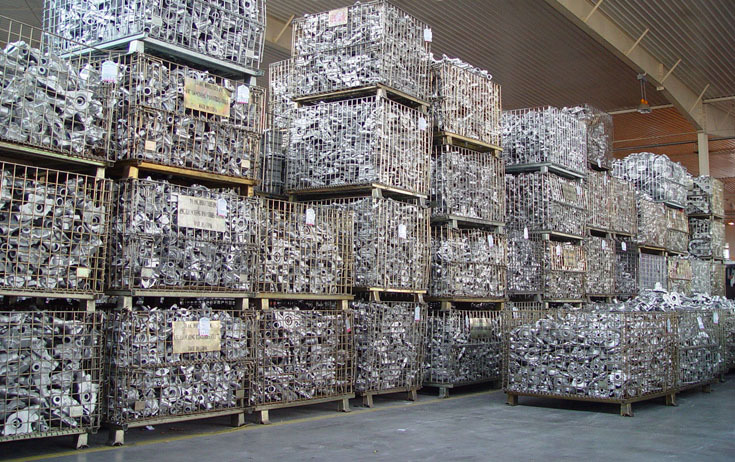 Spiral spring hinge connects the reticular pieces, which makes the wire container can be folded when they are idle. The top is fixed by clamp that assures the intensity of the hinge. 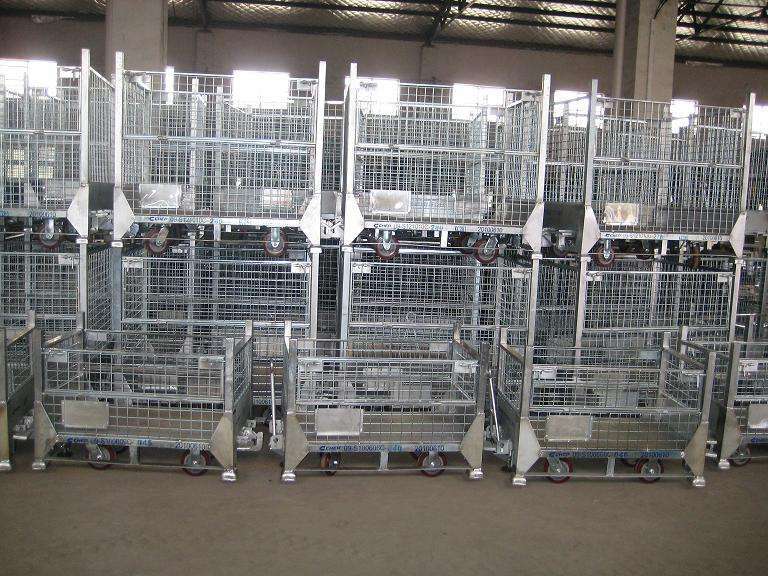 Auxiliary strengthened structure assures the stability of wire container when heaping. 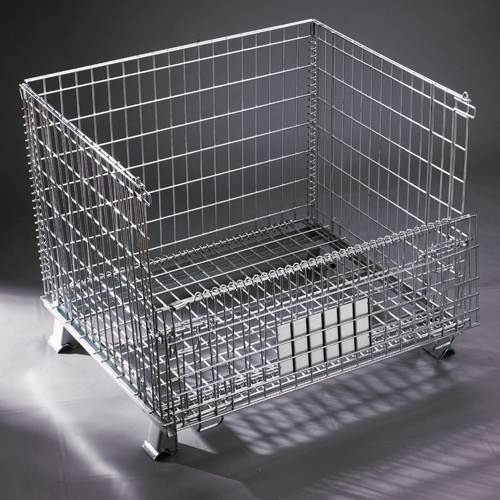 Adopting the multipoint spot welding technique assures the wire container durable. 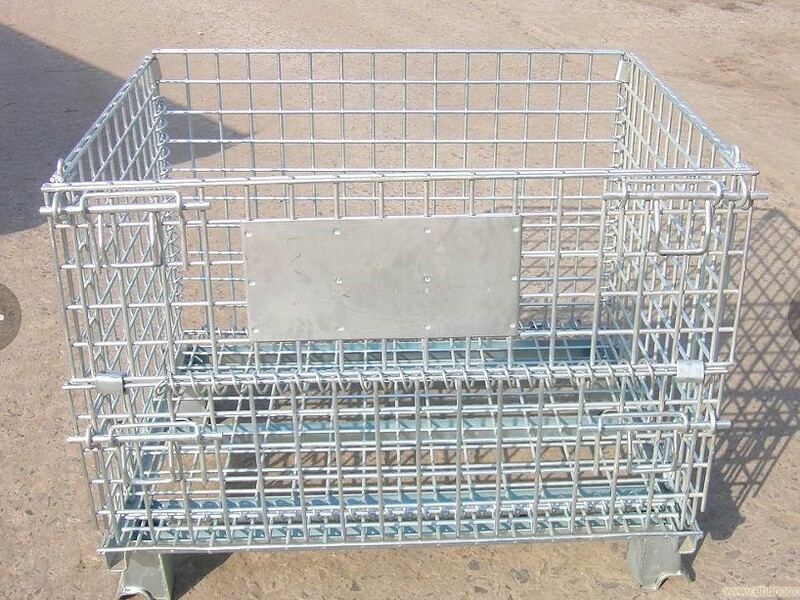 This product is made of welded steel wire. To weld U-shaped stiffener at bottom better for strengthening structure itself. To place cardboard in it so as to protect fragile goods or easily-scratched-surface goods. 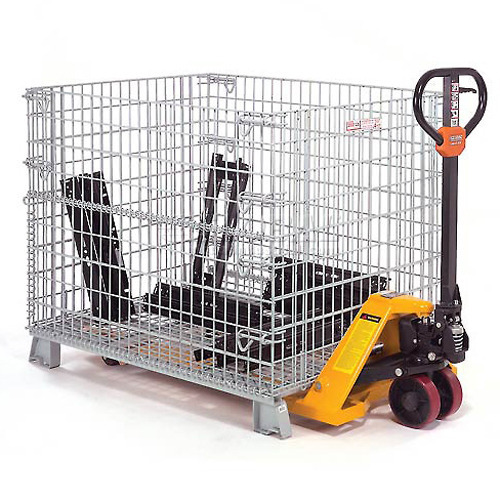 If assisted by transportation equipment, it can be used in logistic steps, such as transportation, load and unload, and storage. 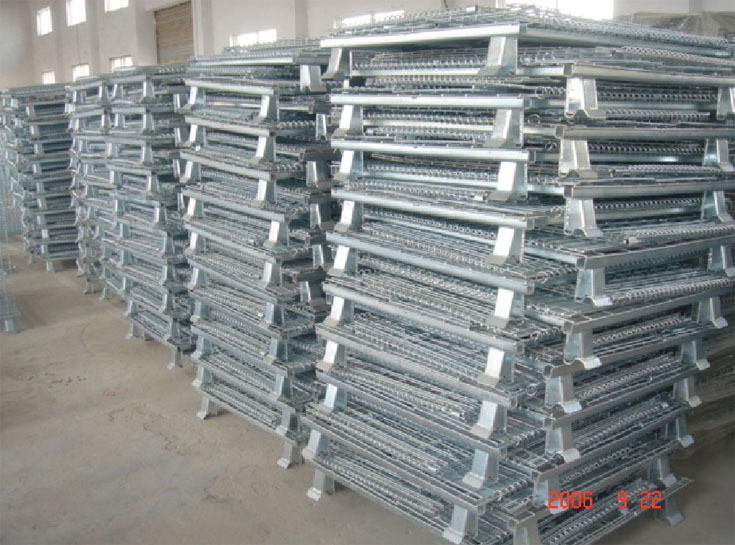 Looking for ideal Wire Mesh Storage Container Manufacturer & supplier ? We have a wide selection at great prices to help you get creative. 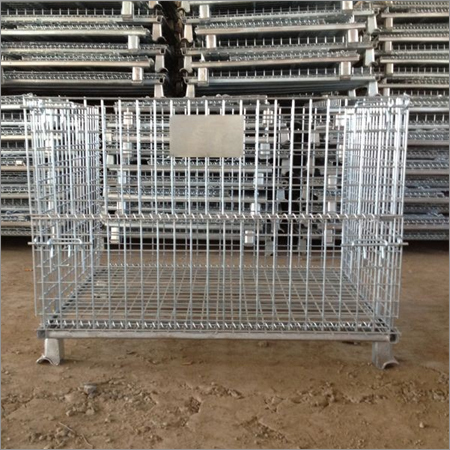 All the Collapsible Wire Mesh Storage Containers are quality guaranteed. 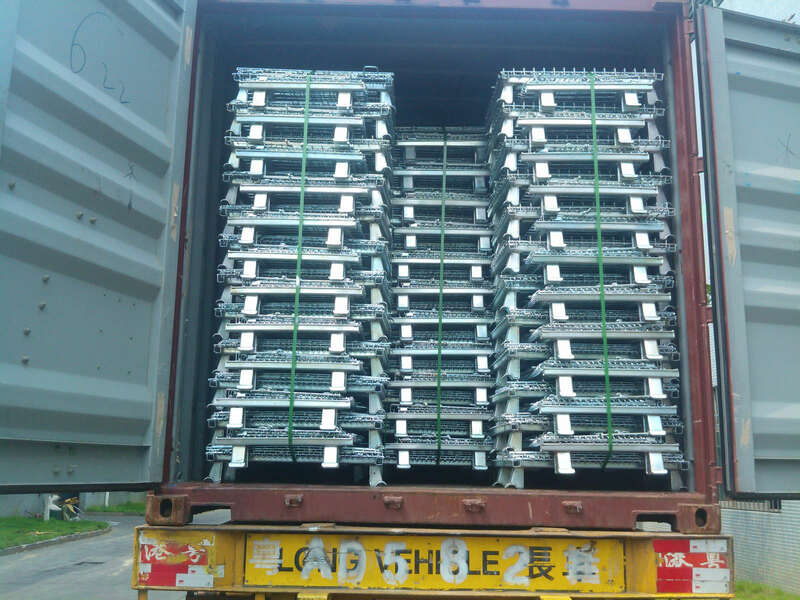 We are China Origin Factory of Warehouse Storage Container. If you have any question, please feel free to contact us.